Ulmus americana, generally known as the American elm or, less commonly, as the white elm or water elm, is a species native to eastern North America, occurring from Nova Scotia west to Alberta and Montana, and south to Florida and central Texas. 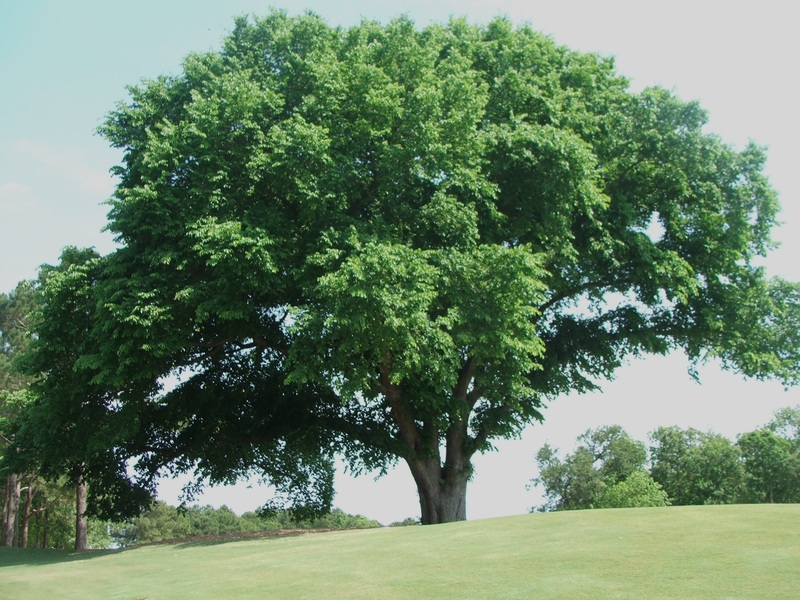 The American elm is an extremely hardy tree that can withstand winter temperatures as low as −42 °C (−44 °F). Trees in areas unaffected by Dutch elm disease can live for several hundred years. A prime example of the species was the Sauble Elm, which grew beside the banks of the Sauble River in Ontario, Canada, to a height of 43 m (140 ft), with a d.b.h of 196 cm (6.43 ft) before succumbing to Dutch elm disease; when it was felled in 1968, a tree-ring count established that it had germinated in 1701. For over 80 years, U. americana has been identified as a tetraploid, i.e. having double the usual number of chromosomes, making it unique within the genus. However, a recent study by the Agricultural Research Service of the United States Department of Agriculture has found that about 20% of wild American Elms are in fact diploid, and may even constitute another species.